The husband was not aware of the marketing and ad campaign of Tom Ford Violet Blonde. I'm not even sure he knew exactly which one of the three Tom Ford perfumes that launched this fall belong to the Private Blend range and which one is from the semi-mainstream Signature Collection, though he smelled all of them. 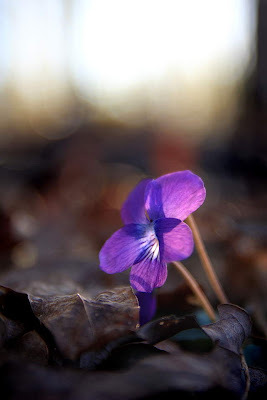 As he tested Violet Blonde and spent some quality time with it, his observation was that while the name is most likely to keep many men from even trying, Violet Blonde is a very good gender-neutral fragrance. But my husband is right. Violet Blonde is perhaps a little more introverted than many of the assertive Tom Ford Private Blend perfumes (I do love most of them), but it's an elegant ambery woody floral with several facets and a soft development on the skin. It opens up with the flashier violet and powder impression, the part that's meant to hook the perfume shopper at the counter, but the powdery floral notes make way to a surprisingly warm and slightly dirty facet. The husband suspected cumin, but there's none on my skin. Most likely it's the way cedar reacts with his chemistry, but I do know what he means. This is not an innocent and clean wood. There's a lot more going on there: the husband says leather, I smell a more powdery suede. And a surprisingly tasteful dry-down that's just sweet enough to feel satisfying. On me Violet Blonde is prettier, on him it's a perfect woody fall scent. It goes well with a leather jacket and a soft cashmere scarf, no matter who wears it. My recommendation is to ignore all the noise surrounding the line and Tom Ford himself and just smell Violet Blonde for what it is, especially if you're a guy. The bottle and box will not betray any secrets. Notes: violet leaf, Italian mandarin, pink pepper, Tuscan iris absolute, Tuscan orris butter, Sambac jasmine, sampaquita, musk, suede, cedar, vetiver and benzoin. 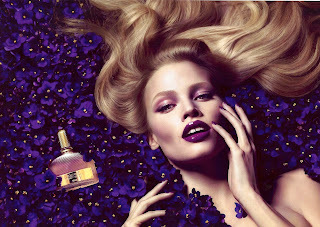 Tom Ford Violet Blonde ($100, 50ml EDP) is available from top department stores. A press sample was sent to me by the brand's PR team. Top image: Violet Wood Sorrel by John P Sercel, Tennessee, 2010. Ahhh I've been wanting to try this! Thanks for such a great review, this makes me want Violet Blonde even more. Well, it is a very nice ad. Eileen's comment is priceless. I've yet to try Violet Blonde, but I think I need to. I can't wait to try this. The second interesting mainstream launch after Bottega Veneta this fall - we are lucky! Thanks, I have been waiting for your review on this. Definitely sounds like my kind of scent! Thank you for the review, Gaia! I may have to take a mortgage out on Rosa del Gata to get Violet Blonde, but it sounds like a winner to me.